Australia now has more than 1 million solar panel systems installed, according to the Clean Energy Regulator. The major milestone of 1 million solar PV installations was reached back in early March. This means that around 2.5 million people in Australia now have rooftop solar panels installed. The population of Australia is around 22.6 million, so there still could be a great deal of growth ahead. The “sunshine state” of Queensland has the most with over 300,000 rooftop systems, with New South Wales coming in second with nearly 230,000. David Green, the Chief Executive of the Clean Energy Council, has said that it seems remarkable when you consider that back in 2008, just 5 years ago, there were only around 20,000 solar systems installed in the whole of Australia. He observes that people in the mortgage-belt suburbs and retirement areas have been installing solar systems as a way of protecting themselves against power price rises over the longer term. As we reported mid last year, recently Australia has emerged as one of the world leaders in the uptake of rooftop solar. Additionally, the solar industry in Australia now employes more than 8,000 workers, with billions of dollars already invested. 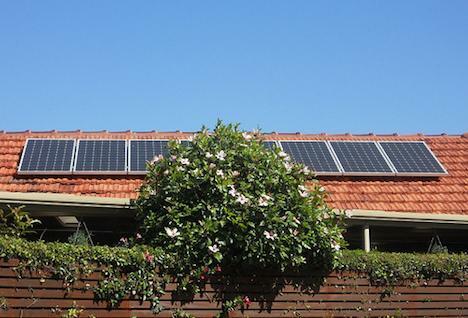 Do you think this trend of the fast uptake of rooftop solar will continue in Australia? With prices of solar systems continuing to drop, new solar financing models emerging, and with climate change already starting to hit Australia harder than many countries, I see absolutely no reason why the trend wont’t continue – if not gather pace. There are still over 20 million people in Australia without solar power. As I’ve said before, the uptake of rooftop solar reminds me of the emergence and uptake of residential broadband internet connections over a decade ago. How many people have broadband connections in their homes now? Previous post: Should Food Intake Be Measured In Exercise, Rather Than In Calories?